Here is a cool 16th-note alternate picking exercise designed to just give your fingers and picking hand a quick warmup. It’s sort of an etude kind of thing. NOTE: Watch for the position shift in the third measure between the 8th and 10th fret on the high E string. 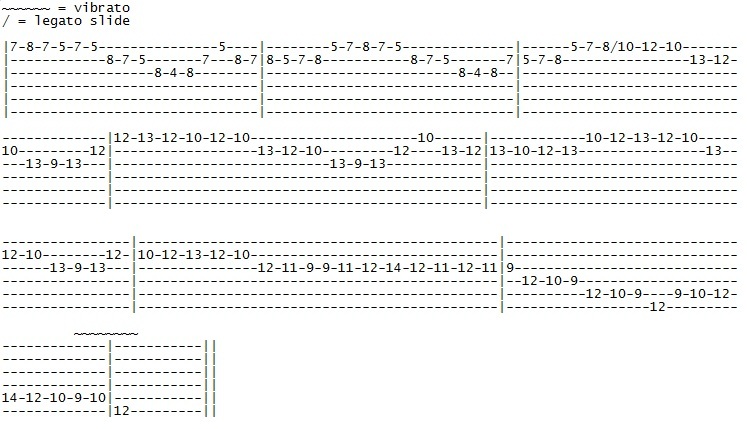 I originally wrote it as a legato slide, so you don’t have to pick it, but you can if it’s easier. The slide should go from the 4th finger to the 1st finger. Like any exercise, you should start off slow and practice with a metronome. I would suggest starting at around 90-100 b.p.m. 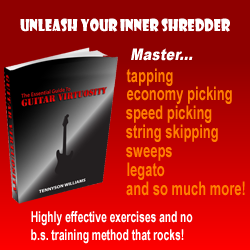 When you master this exercise at a certain speed, gradually increase your speed in increments of around 4-8 b.p.m. Have fun, and happy shredding! David K.